Endoline Machinery has set the benchmark for health and safety within food manufacturing facilities across the UK with the launch of its latest system – the 704 Fully Automatic Random Case Sealer. At the same time Endoline, who are UK leaders in the design and build of end-of-line machinery, are addressing the misconceptions food manufacturers, in particular SME’s, have around health and safety regulations and European CE Equipment Marking. In 2016 The Food Standards Agency (FSA) began the roll out of a four year plan which will see a new, tougher regulatory model in place by 2020, which will include greater guidance on machine safety. Already, following the initial launch, food manufacturers, whose health and safety regulations do not comply, have been given stiffer sentences. Consequently, getting health and safety right has never been more paramount, particularly as automation amongst food and drink manufacturers is still on an upward trajectory, with 73% engaged in automating their manufacturing processes at the end of last year. While all of its machinery complies with CE regulations, Endoline stresses the importance of full transparency between customers and machinery manufacturers. 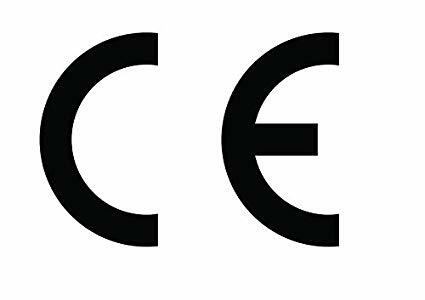 “It isn’t just a case of conforming to regulations and getting the CE mark on a machine. muscle relaxants. Manufacturers need to understand the area the machine will be located in and assess the environment for any safety concerns such as access.” Andrew continues. As testament to this, Endoline will unveil, on stand C52, its re-engineered 704 Fully Automatic Random Case Sealer – which not only meets all CE regulations, but now features an infeed Safety Light curtain as standard, and ergonomic design improvements for safer operator access. While these additional components are not pre-requisites for CE certification, Endoline has taken them from its flagship 744 high speed, random case sealer – which is installed within blue chip food manufacturing sites across the globe. End of line equipment can present significant hazards. Not only do they operate automatically and, in some cases, at very high speed, but the openings, to allow the cases to be transported through the system, are often large enough to be a potential for unauthorised access. The introduction of the infeed Safety Light curtain on the 704, not only safeguards the machine, but eliminates the need for additional safety guarding so reducing the overall footprint of the machine even further. As a market leading manufacturer, Endoline is offering its customers comprehensive guidance and support on all matters of Health and Safety requirements surrounding their machinery. heart cholesterol. As an active member of the Working Committee for Safety of Packaging Machines EN 415-7, Endoline also stresses that health and safety features can be retrofitted to machinery to ensure that a company’s investment is future proof. “With so much uncertainty surrounding Brexit and stringent regulations it is important that our customers see us as an authority in health and safety machinery. We continuously review safety levels of all machines and offer our customers ongoing support to ensure they remain compliant.” Andrew concludes.